We may collect and store information about you when you use the Service. We use the information to fulfill your requests, provide the Service's functionality, improve the Service's quality, personalize your experience, track usage of the Service, provide feedback to third party businesses that are listed on the Service, display relevant advertising, market the Service, provide customer support, message you, back up our systems and allow for disaster recovery, enhance the security of the Service, and comply with legal obligations. Account Information: If you create an account on MROinsider, we may store and use your company name, email address, home airport identifier, aircraft information and other details you may provide with your account, such as aircraft maintenance requests. Your first name and last initial, as well as any photo you submit through the registration process, will be displayed as part of your account profile, visible to MRO facilities. If you believe that someone has created an unauthorized account depicting you or your likeness, you can request its removal by sending us a message to review. Public Content: The information that you contribute through the Service is intended for public consumption, including your reviews, photos, check-ins, comments, likes, and compliments. We may display this information through the Service, share it with businesses, and further distribute it to a wider audience through third party sites and services. Contacts: You can invite your friends to join the Service by providing us with their contact information, or sending a link to your contacts. 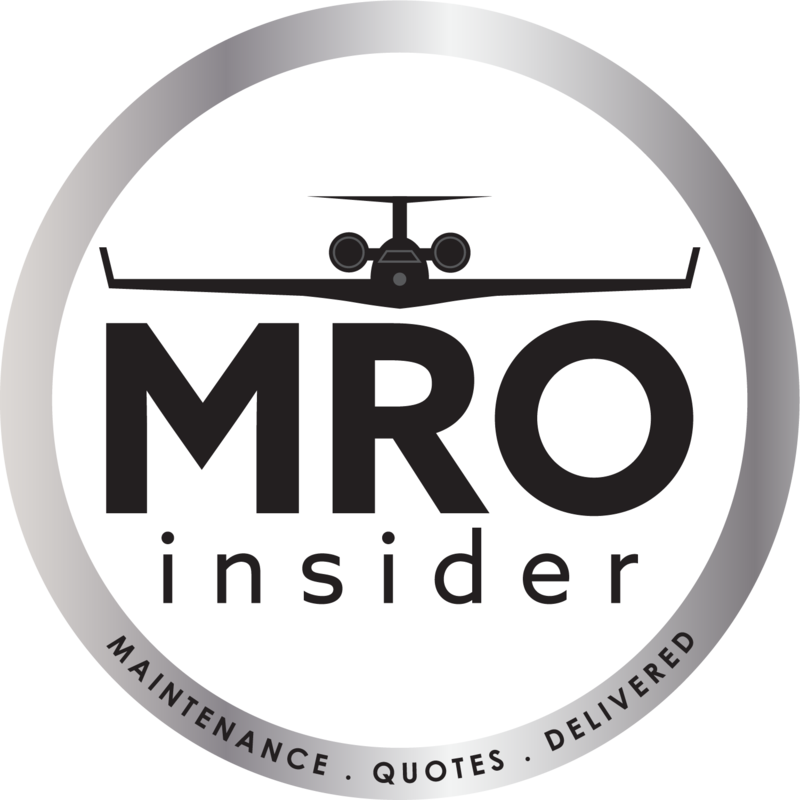 Communications: When you sign up for an account or use certain features, you are opting to receive messages from MRO facilities, aviation releated businesses, and MROinsider itself. You can manage some of your messaging preferences here, but note that you cannot opt out of receiving certain administrative, transactional, or legal messages from MROinsider. For example, if you make a reservation through the Service, we may send you messages about your reservation using the contact information you provide, including SMS text messages to your phone. We may also track your actions in response to the messages you receive from MROinsider or through the Service, such as whether you deleted, opened, or forwarded such messages. If you exchange messages with others through the Service, we may store them in order to process and deliver them, allow you to manage them, and we may review and disclose them in connection with investigations related to the operation and use of the Service. We may not deliver messages that we believe are objectionable, such as spam messages or requests to exchange reviews for compensation. If you send or receive messages through the Service via SMS text message, we may log phone numbers, and the date and time that the messages were processed. Carriers may charge recipients for texts that they receive. We may also store information that you provide through communications to us, including from phone calls, letters, emails and other electronic messages, or in person. If you are a representative of a business listed on MROinsider, we may contact you, including by phone or email, using the contact information you provide us, make publicly available, or that we have on record for your business. Transactional Information: If you initiate a transaction through the Service, such as a reservation or purchase, we may collect and store information about you, such as your name, phone number, address, email, as well as any other information you provide to us, in order to process your transaction, send communications about them to you, and populate forms for future transactions. MROinsider does not disclose your personal information to third parties for the purpose of directly marketing their services to you. When you submit credit card numbers, we encrypt that information using industry standard technology. If you write reviews about businesses with which you transact through the Service, we may publicly display the fact that you transacted with those businesses. For example, if you schedule aircraft maintenance with a facility through the Service and write a review about your experience, we may publicly display the fact that you scheduled your aircraft maintenance through the Service. Activity: We may store information about your use of the Service, such as your search activity, the pages you view, the date and time of your visit, businesses you call using our mobile applications, and reservations and purchases you make through the Service. We also may store information that your computer or mobile device provides to us in connection with your use of the Service, such as your browser type, type of computer or mobile device, browser language, IP address, mobile carrier, phone number, unique device identifier, advertising identifier, location (including geolocation, beacon based location, and GPS location), and requested and referring URLs. You may be able to disallow our use of certain location data through your device or browser settings, for example by disabling "Location Services" for the MROinsider application in iOS privacy settings. Businesses on MROinsider: We may share information from or about you (such as your location and capabilities), your devices, and your use of the Service (such as which businesses you bookmark or call) with businesses listed on MROinsider. You may adjust your settings to increase or decrease the amount of information we share. You can view these settings and find more details about what information may be shared here. Keep in mind that businesses may see your Public Content (as defined in Section 1(b) above) and receive information about your transactions with them, regardless of your settings. Investigations: We may investigate and disclose information from or about you if we have a good faith belief that such investigation or disclosure (a) is reasonably necessary to comply with legal process and law enforcement instructions and orders, such as a search warrant, subpoena, statute, judicial proceeding, or other legal process served on us; (b) is helpful to prevent, investigate, or identify possible wrongdoing in connection with the Service; or (c) protects our rights, reputation, property, or that of our users, affiliates, or the public, such as disclosures in connection with our Consumer Alerts program. If you flag or otherwise complain to MROinsider about content through the Service, we may share the substance of your complaint with the contributor of that content in order to provide an opportunity for the contributor to respond. Third Party Accounts: If you sign up for MROinsider using a third party service like Facebook, or link your MROinsider account to your account with a third party service like Facebook or Twitter, we may receive information about you from such third party service. Please also note that the messages you send or receive using the Service are only private to the extent that both you and the person you are communicating with keep them private. The Service is intended for general audiences and is not directed to children under 13. We do not knowingly collect personal information from children under 13. If you become aware that a child has provided us with personal information without parental consent, please contact us directly. If we become aware that a child under 13 has provided us with personal information without parental consent, we take steps to remove such information and terminate the child's account. MROinsider does not disclose your personal information to third parties for the purpose of directly marketing their services to you unless you first agree to such disclosure. If you have any questions regarding this policy, or would like to change your preferences, you may contact us at the address listed above in Section 8.